Sunday Stash Report -- and Nicklene's Christmas present is done! Even though Sunday came and went, I still want to post my Sunday Stash Report. So how did you like last week's block directions? Did you make any blocks? This week we are going to put the blocks together into the quilt. Again, it has yet to stop raining here in New York, so the photos were taken inside and are full of shadows. I am explaining but not complaining, as my heart goes out to the latest victims of the series of heartbreaking tornadoes in the United States. Lay out your blocks in 5 rows of 5 blocks. Sew the 5 blocks from the first row together, alternating the long borders so no seams match. Sew 5 rows together, alternating the blocks so only the corners have matching seams. Press the seams from your first row in one direction (left) and the seams from the second row in the other direction (right). When you join your rows together, your seams will line up nicely. It is time for the Stop, Drop and Roll Quilt Along giveaway.. This looks like tons of fun. I love your brights for your sample. Celeste, I don't have your email address. Please email me (link through my blog profile) and I will mail out your lovely thread! Welcome to the Stop, Drop and Roll Quilt Along! I am hosting this for the Old Red Barn Co. Flickr group. Come and join us! The block finishes at 8 ½ inches. 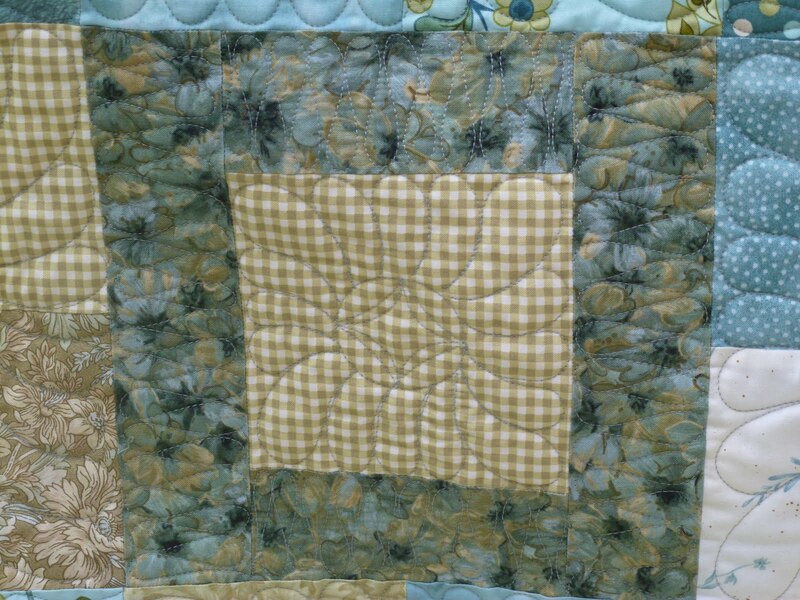 If you would like to make your quilt larger or smaller, note that each block requires one center charm square and three border charm squares (or six half charm squares). Before I show photos, I need to mention that like a great deal of the United States, New York is, has been, and will apparently continue to be cloudy and rainy. My photos are quite dark and dreary. Sorry! We are under a flood watch, but nothing like the devastation in other parts of this country. I will take new photos should the sun ever decide to grace us with its presence again. Keep each center charm square whole, but cut each border charm square into two pieces, 2 ½” x 5”. Select a center square and six rectangles for each block. Once you have arranged your block, you are ready to sew. It is DecoBob. by WonderFil. 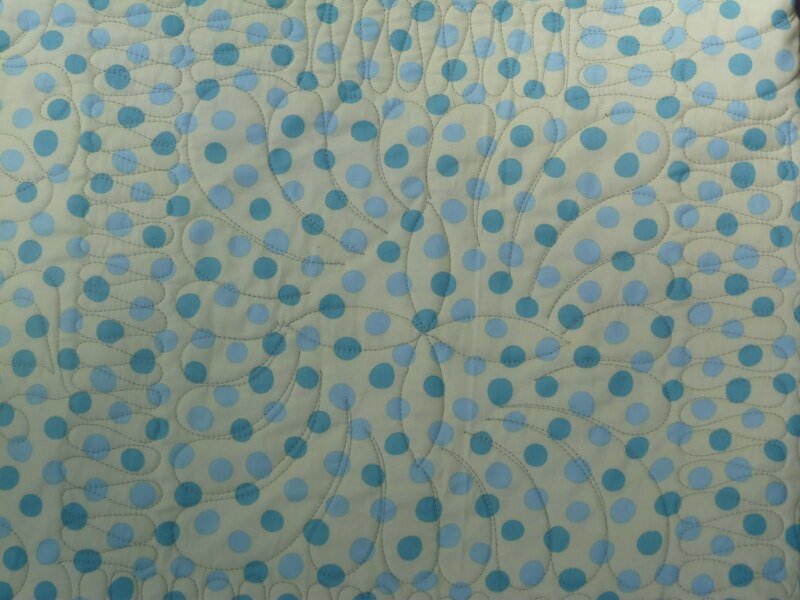 I have used this thread for quilting before, but the man from WonderFil told me to use it for piecing. Well, I came straight home and did just that! It is a beautiful 80-weight polyester thread that is thin and strong. I pieced for several hours with it and am absolutely tickled! I think you will be tickled with this thread, too, and that is why I am giving away those two spools of thread to one lucky commenter. Leave a comment below between now and Sunday and I will pick a name on Monday morning. Once you have picked your sewing thread, sew a rectangle to the left and right side of the center square. Press seams toward the rectangles. Sew two rectangles together (2 ½” x 9 ½”) for the top and bottom borders. Press seam to one side. Center that seam over the center of the middle square. There will be approximately ¼ inch of extra fabric on each side. Stitch top and bottom border to the block. Press seams toward the borders. Trim the block to 9 inches square. I think this is a simple little block that will work great with those charm squares you have been collecting. 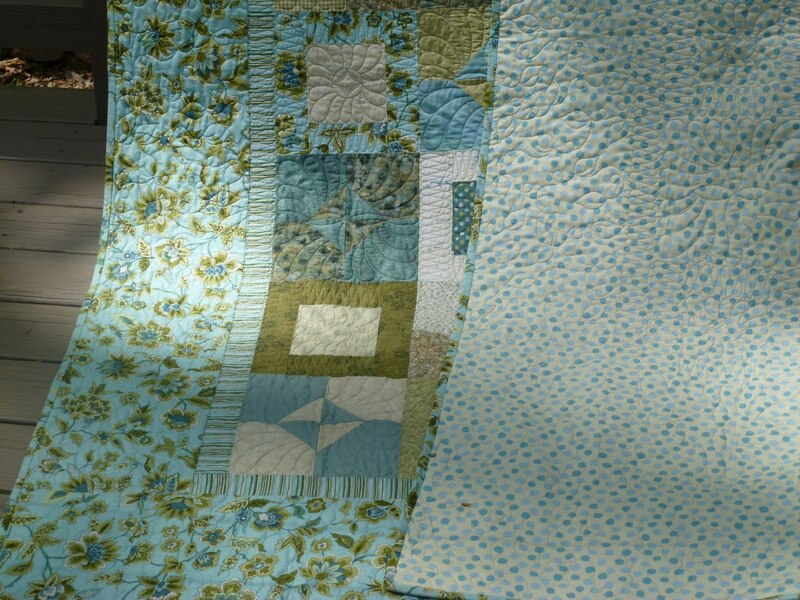 Next week I will post instructions for joining the blocks into the rows and joining the rows to make the quilt top. After that, we will dig into the free-motion quilting! Is this darling? When you are choosing your fabrics, try to make blocks of different colors or different color values so they stand out when placed next to each other. I know that you will blow me away with your creativity. I cannot wait to see your photos! Come on over to the Old Red Barn Co. Flickr page and post photos of your fabrics. Don't forget to leave a comment for a chance to win two spools of DecoBob thread. Grab your copy of Mark Lipinski's Fabric Trends and turn to Always Believe, designed by my friends at the Quilt Basket. 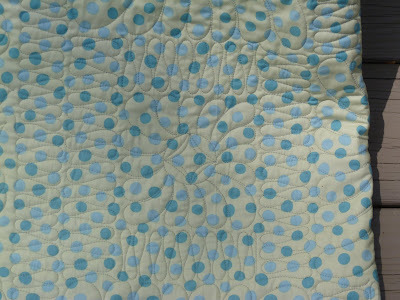 The Quilt Basket put a tutorial on their blog of how to scallop the border and I filmed a video of how I quilted it. I used Konfetti from WonderFil, color TU 37 shell. It is a gorgeous variegated thread of subtle pinks and creams. I used a size 16 needle. 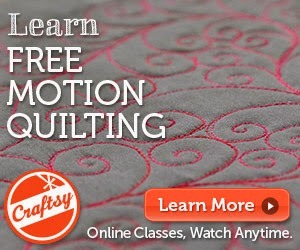 The next series of videos I am filming will focus on free-motion quilting on your home machine. Check back often! The block is for a quilt along I am hosting for the Old Red Barn Co. I will be posting a tutorial and videos weekly for the next several weeks. Check back often! 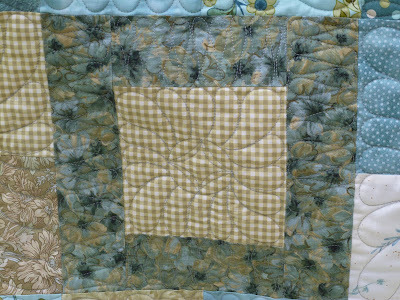 The applique is a border for Pat Sloan's Meadow Breeze quilt. Someday, I hope to actually finish that quilt! 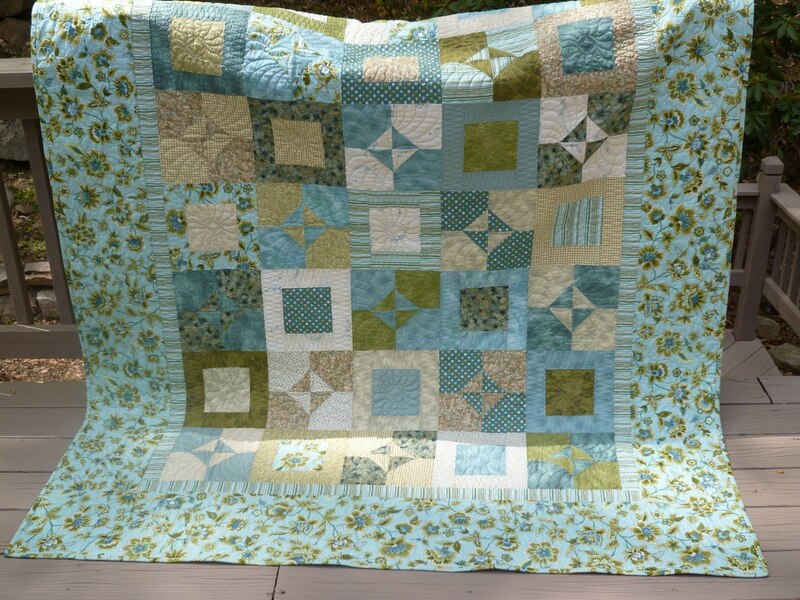 Sunday Stash Report -- and Marla's quilt is finished! Last week I had the honor of attending the wedding of my dear friend, Marla. She was a beautiful bride and has a handsome husband. I gave them a quilt and hope they think it is beautiful, too. Be sure to check my blog later this week. I am hosting a quilt along for Old Red Barn Co. and will be posting a free pattern and tutorial as well as videos on free-motion quilting on your home machine. I hope you join in the fun! If you haven't yet purchased a copy of Mark Lipinski's Fabric Trends, run out and do so immediately. My friends at the Quilt Basket designed a quilt for that issue. It is GORGEOUS! 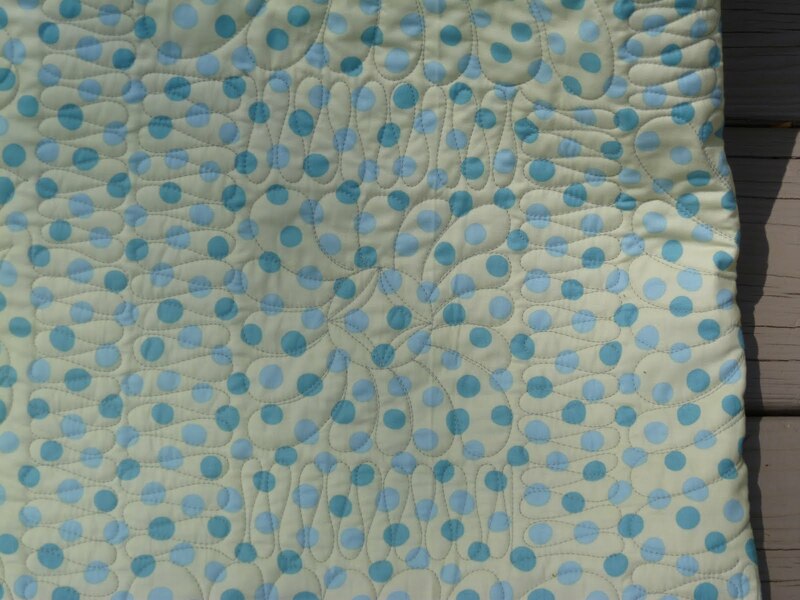 It is so hard quilting for publication because I fell in love with this quilt months ago and have not been able to tell you about it... until now. The Quilt Basket not only designed the quilt and wrote the pattern, but they put a tutorial on their blog of how to piece the block. 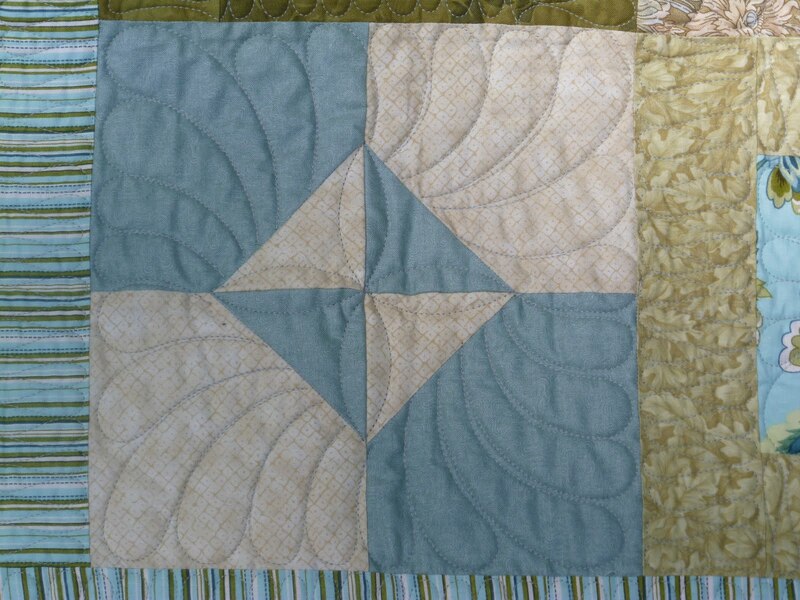 In that same spirit, I filmed a video of how I quilted the block. Next week I will show how I quilted the feathered scalloped border. Be sure to check back! I can not decide which fabric I like best! Lucky Charms quilting -- The End! I like the back as much as the front! 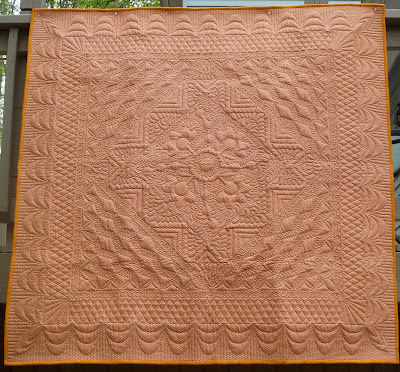 Next week I am taking this quilt to MQS in Overland Park, Kansas and the quilt will be auctioned to support the IMQA. If you are in the area, come to the auction and support this great organization. 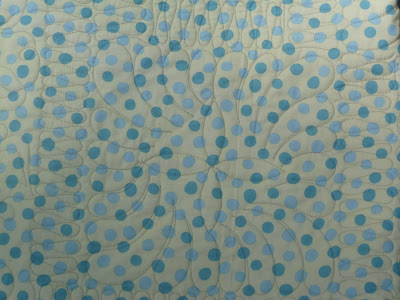 I will miss this quilt when it is gone, but I am consoling myself by planning the next one. Check back often! I hope to have a new video next week.